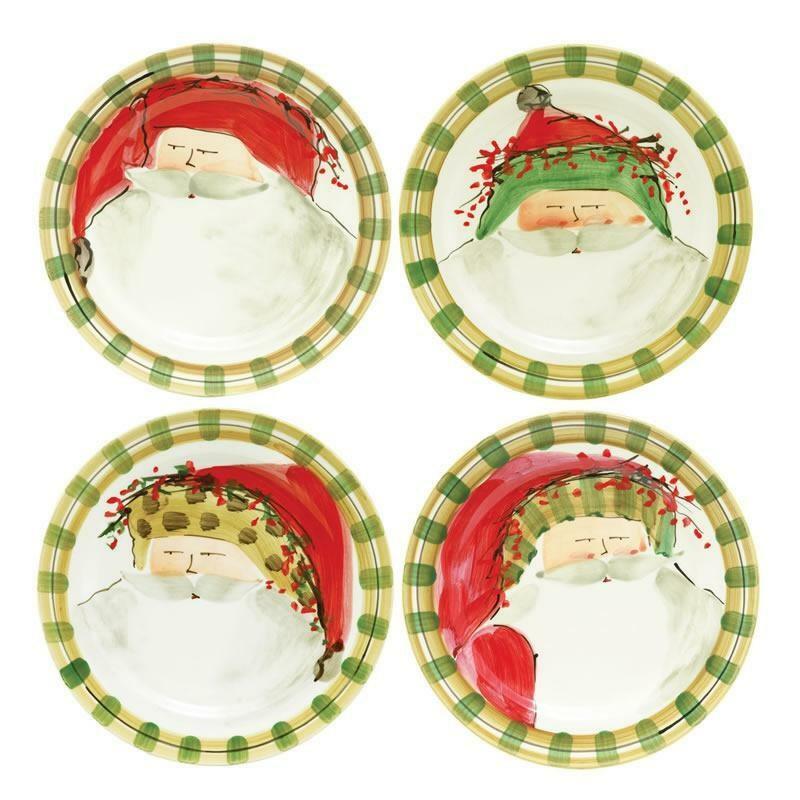 The Old St. Nick assorted square salad plates feature four jolly santas handpainted on them. There's one with a red hat, green hat, animal hat and a striped hat. 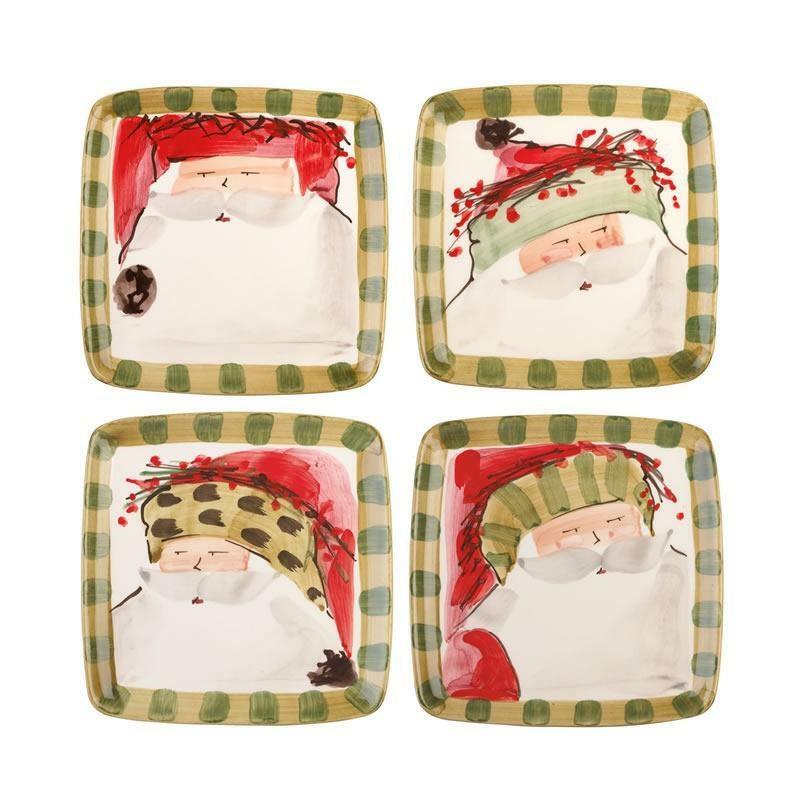 Makes a great gift for the holidays! 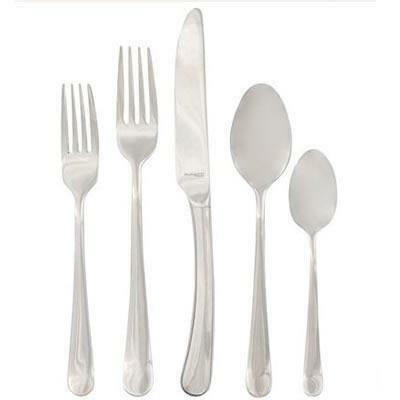 Handmade of terra bianca in Tuscany. 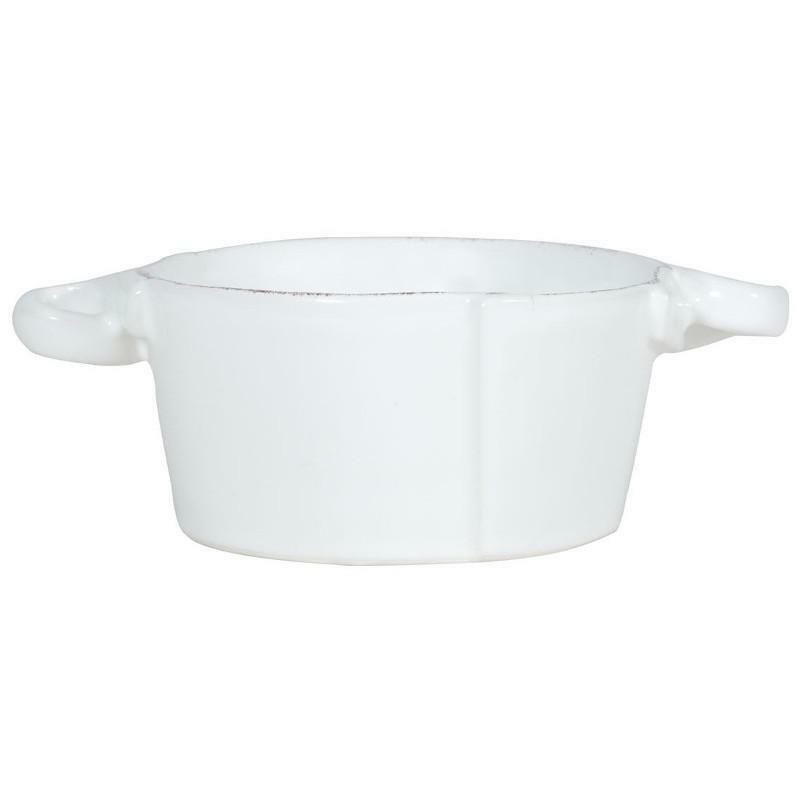 Use & Care Dishwasher safe. 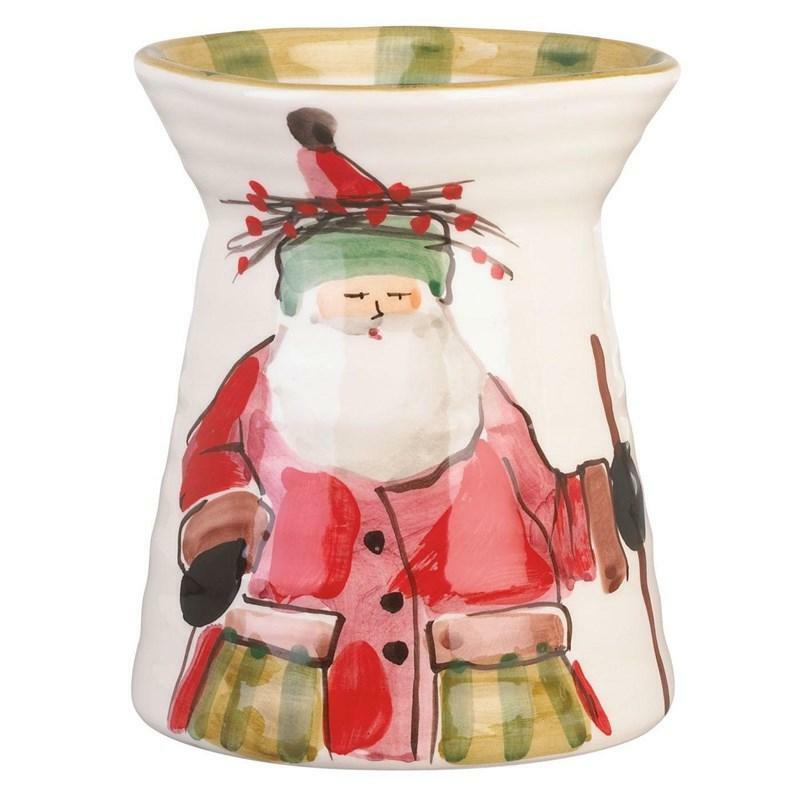 The Old St. Nick Utensil Holder features the handpainted designs of maestro artisan Alessandro Taddei. 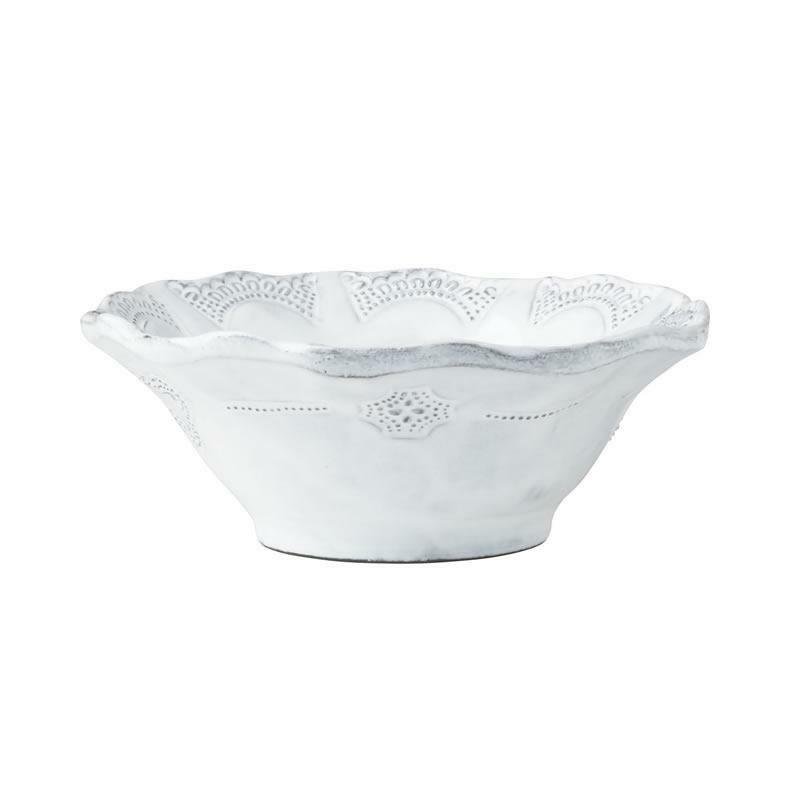 The Lastra White Small Handled Bowl by Vietri features a rustic, yet chic shape that creates a clean and sophisticated look on your table. 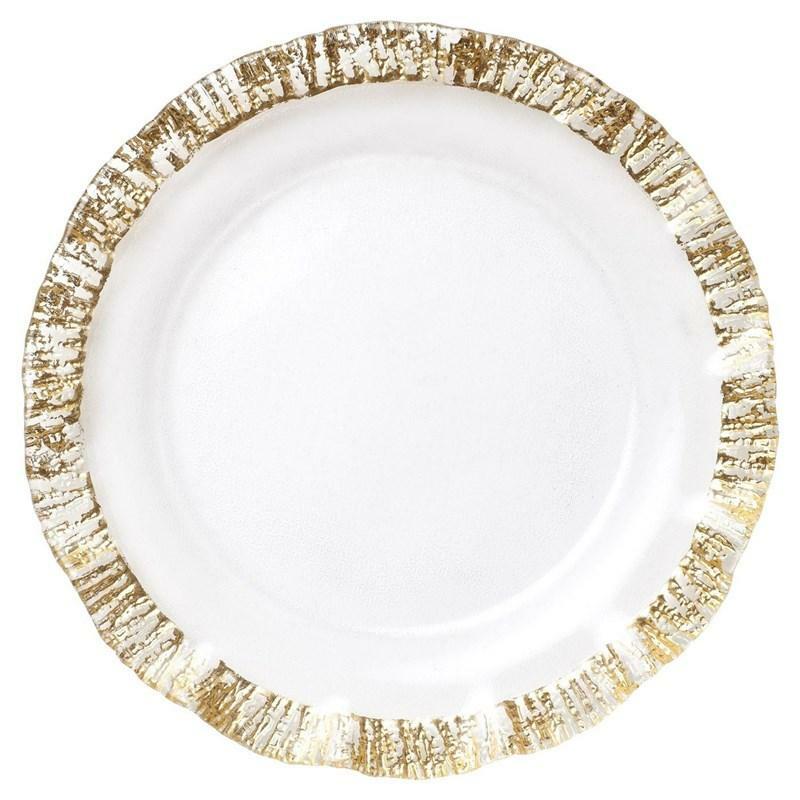 The Rufolo Glass Gold Service Plate/Charger by Vietri creates a luxurious table setting. 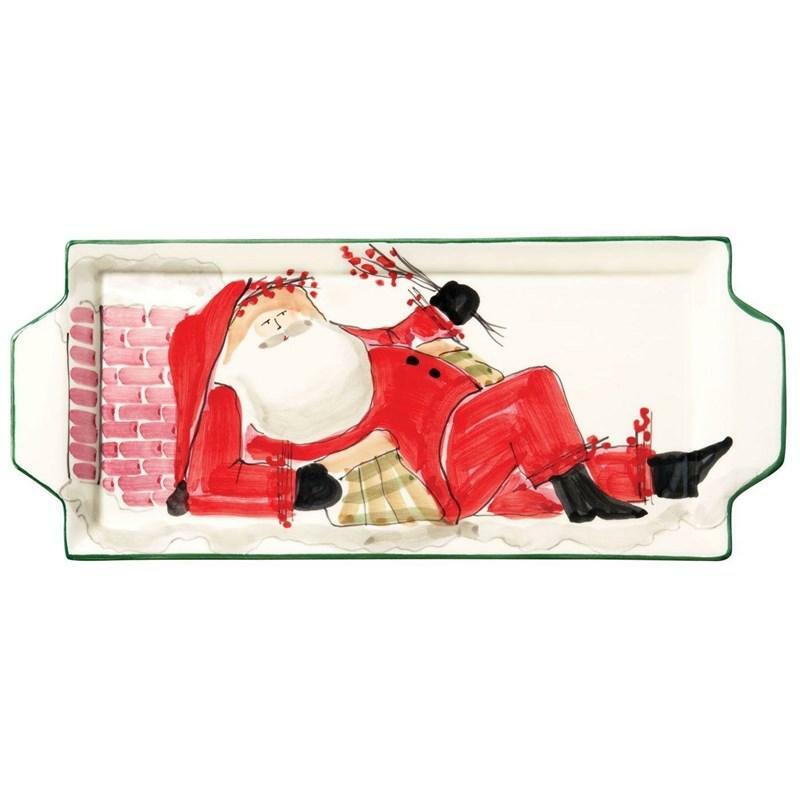 The Old St. Nick Handled Rectangular Santa Platter by Vietri features the handpainted designs of maestro artisan Alessandro Taddei. 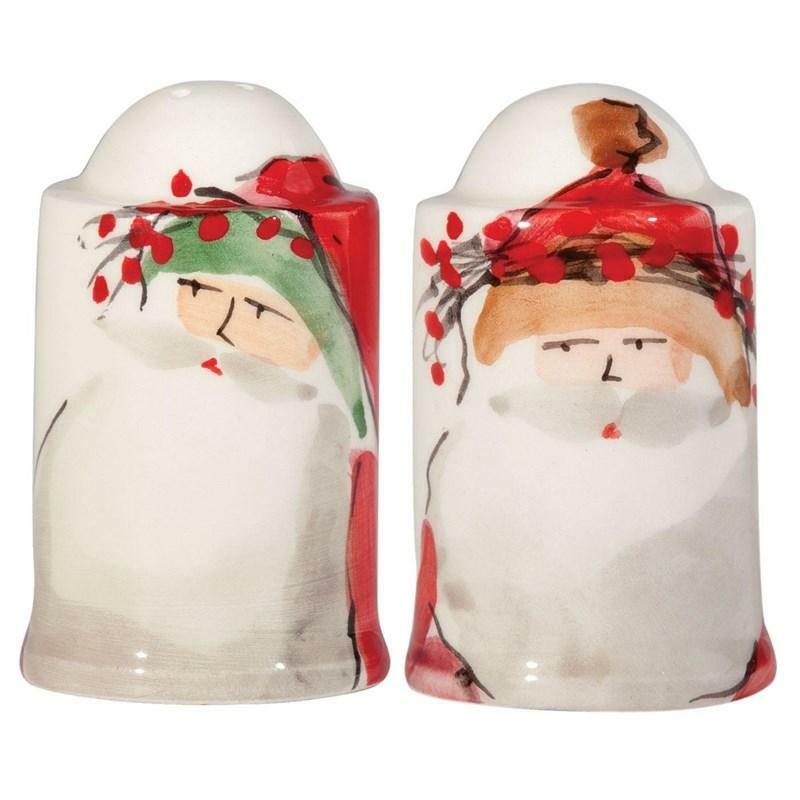 The Old St. Nick Salt and Pepper Shaker Set by Vietri features the handpainted designs by maestro artisan Alessandro Taddei. 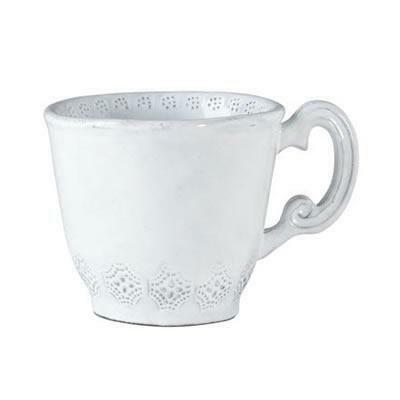 The Incanto White Lace Mug features a delicate lace design and a white finish. 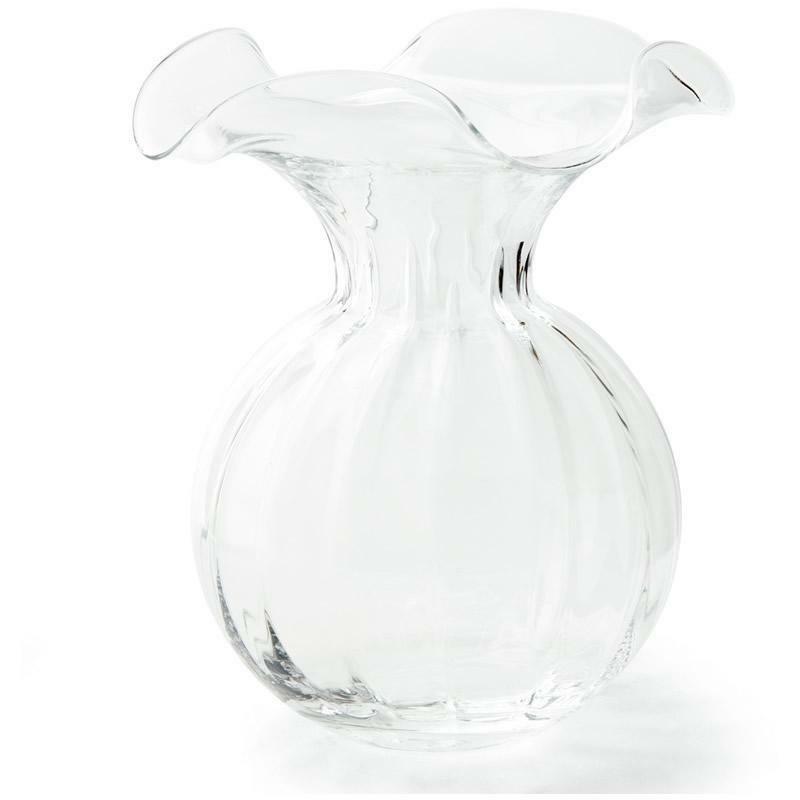 The simplicity of this mug makes a beautiful table setting.